As I was preparing to write today’s post, I was torn. It’s Tuesday, so I wanted to participate in Barn Charm (it’s an addiction). 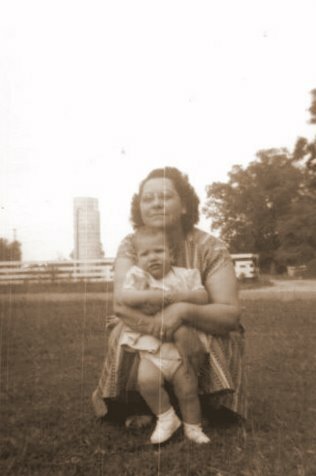 But I also wanted to include a mention of my Mom, because she was born on this date in 1910. This barn is located across the highway from my childhood home. (I shared a picture of it some time ago, but I’ve never included it in a Barn Charm post.) My family was living there when I was born, and it’s where my Mom lived until failing health required her to move into a convalescent home. 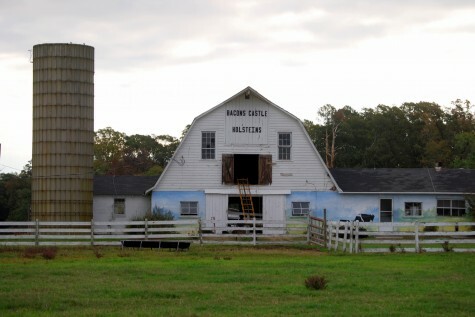 Many of my memories include this old barn: as a child, I would visit there often, especially during milking time. Of course, when the wind was in the right wrong direction, we’d be the recipients of all those dairy farm odors. And we have many family snapshots with the barn in the background. Including this one of my Mom and me, which I’m sharing today in honor of her birthday. We always remember important dates, don’t we?